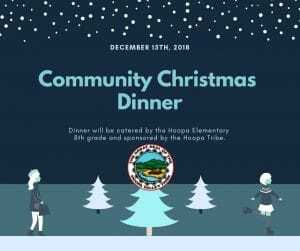 Brief Announcement: as with last year, the Hoopa Valley Tribe is sponsoring the 2018 Community Christmas Dinner–which will be catered by the Hoopa Elementary 8th Grade. Accordingly, the Hoopa Valley Tribal Chairman and Tribal Council would like to invite the community out to this upcoming Christmas dinner. 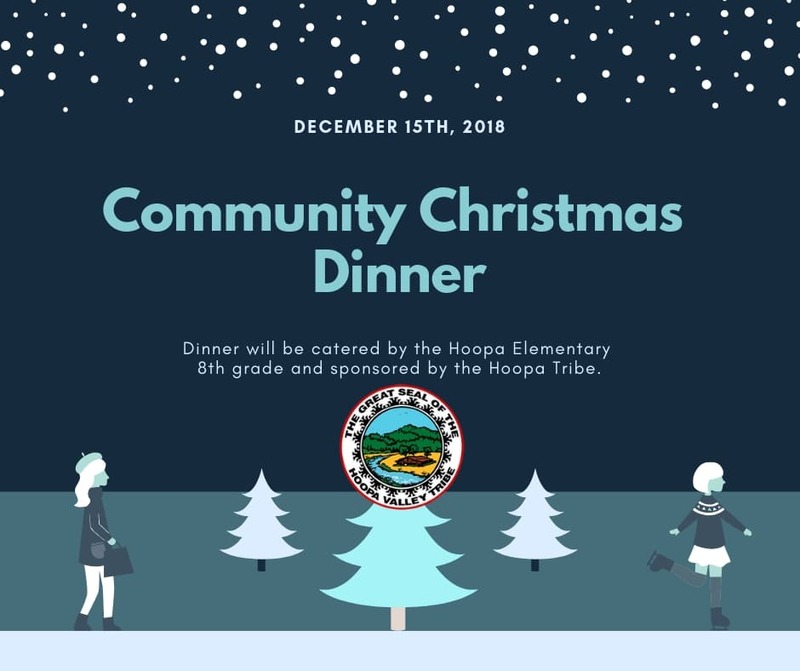 The event shall begin on Saturday, December 15th, 2018 at 2 pm, inside the Hoopa Elementary Cafeteria. Additionally, Santa will be present for photo opportunities, stockings shall be available for children, and elders will receive priority seating. If any details about this Christmas Dinner change, we will update this page as soon as possible. Thank you, and we hope to see you there on December 15th!